Naked Doors is entirely bespoke. Many companies would have you believe they are bespoke, when in fact everything is predicated on standard sizes. You can never get your perfect kitchen working with such limitations. 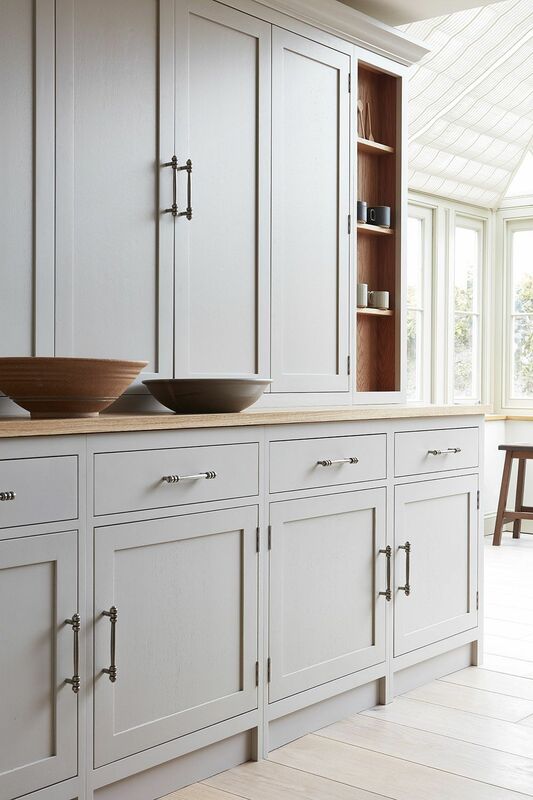 We do all the hard parts, including manufacturing and spraying the frames, doors and drawer fronts ready for you to just fix to the front of the cabinet. The logic behind this is simple, which is what makes it so compelling. A true trade supply price, easily accessible. Our inspiration was lean manufacturing from Toyota. Every step embraces total efficiency. Our computer system optimizes all the materials with virtually no wastage, then our CNC machines cut it all to less than mm tolerance twenty times faster than the finest joiner. Buying from Naked Doors is about getting the right door for you, the way you want it. 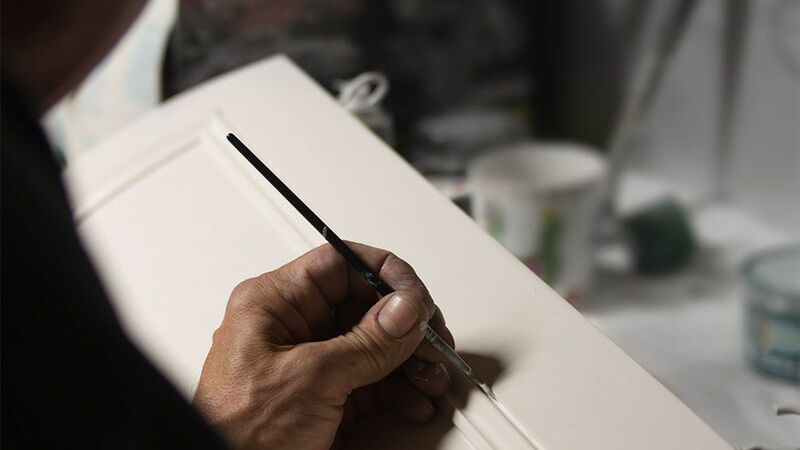 We usually spray finish the door frames with our fabulous paint system to give an outstanding finish, but you are welcome to save on that and do it yourself. We're as flexible as you like. This all brings the real chance of a designer kitchen, without the cost. It's no accident that kitchen designers, architects, developers and builders keep coming back again and again. 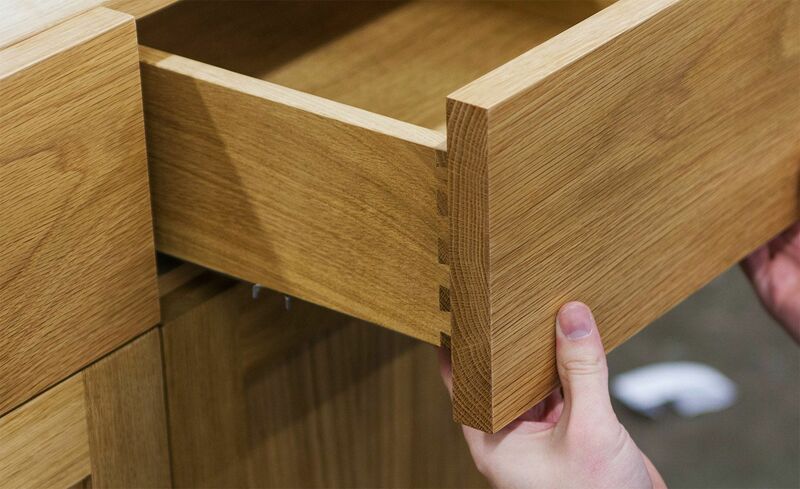 The price point of the doors and drawers against the quality of the product are unheard of. One of the most important aspects of a designer kitchen is the quality of the materials used. Our oak and walnut frames and doors versus the market standard of chipboard and tulipwood far surpasses the average kitchen cabinet door. Such a huge differential makes a lot of clients a bit nervous and we understand that. That's why we offer factory tours to clients, as well as having a great showroom too. A trip to our Norfolk workshops could literally save you a fortune.